The prison officer role play forms part of the prison officer Recruitment Assessment Day (RAD). Read on to find out more about how you pass this important element of the prison officer selection process. 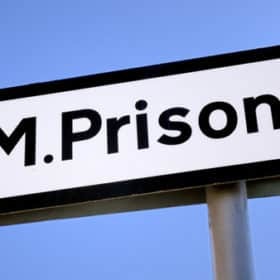 Once you arrive at the assessment centre you will be registered by a member of the Prison Service RAD team and given a brief outline of what the day involves. During the brieﬁng, you will have the opportunity to ask any questions that you may have about the day. You will then receive a brieﬁng pack, which contains information about each of the role play simulations. You will be allowed to make notes, however, you will not be authorised to take the notes into the simulations with you. In between each simulation, you will be given time to re-read any notes you may have made and prepare for your next simulation. Within the brieﬁng pack you need to determine what it is the selection team are looking for from you during each of the simulations. The exact types of simulation vary greatly between each assessment centre but the core behaviours that you are required to demonstrate are the same throughout. Providing you pay attention to what is required and learn to incorporate the core behaviours into each simulation, you will greatly increase your chances of success. Whilst these are quite vague in terms of their description, you can begin to get a feel for the type of simulation you will be up against during the role play simulations. The most effective way to prepare is to keep an open mind about the type of simulation you will come across and instead focus your mind on and prepare for the core behaviours. After all, these 6 behaviours are what you will be measured against. If you do not demonstrate them then you will not pass the RAD. During each of the simulations, you will be given a non-Prison Service based role that you will assume whilst in the assessment room. 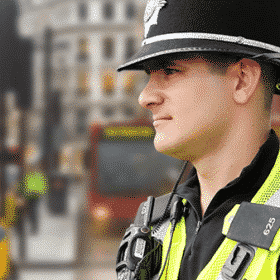 The Prison Service want to see that you have the potential to deal with speciﬁc situations in an effective manner and you will ﬁnd that the simulations you are asked to deal with are similar to those that a Prison Ofﬁcer comes across. The Prison Service expect you to be yourself and deal with the simulations in the same way you would deal with similar situations you meet in everyday life. However, there are a number of things that you can do to improve your chances of success on the day. During the assessment simulations, you will be assessed on 6 core behaviours. Let’s take a look at the first two to get you started in your preparation for the prison officer role play. This is your ability to demonstrate, through your body language, facial expressions and general demeanour that you can effectively listen to what other people are saying. In all of the simulations you will be required to listen effectively to what people are saying and demonstrate that you are doing this through a number of ways. Listening is rarely taught in schools because the teachers or education authorities (along with almost everyone else) assume listening is automatic. But effective listening is a skill. Like any other skill, competency in listening is achieved through learning and practice. The scarcity of good listeners is self-perpetuating; if you didn’t have good listeners to learn from and (especially) models to emulate, you probably didn’t master this form of effective communication. 1. Face the role play actor and maintain eye contact. 2. Use facial expressions and simple body language to show the role play actor that you are listening to them. 3. Keep an open mind when dealing with each scenario. 4. Listen to the words and try to picture what the role play actor is saying. 5. Don’t interrupt and don’t impose your solutions. 6. Wait for the role play actor to pause before asking clarifying questions, unless of course they use inappropriate language or behaviour. 7. Ask questions only to ensure understanding of something that has been said (avoiding questions that disrupt the role play actor’s train of thought). 8. Try to feel what the role play actor is feeling. 9. Give the role play actor regular feedback, e.g. summarise, reﬂect feelings, or simply say “uh huh”. 10. Pay attention to what isn’t said – to feelings, facial expressions, gestures, posture and other non-verbal cues. This is all about the timing of your decisions or judgements. How far do you let something go or carry on for before making your judgement? You will need to listen to the information that you are receiving from the simulation and make a decision about when you interact. For example, if you were witnessing a simulation that involved a bullying or harassment situation, then you would want to make your judgement quickly. 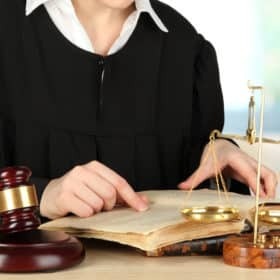 However, if you were confronted in the simulation with a situation that involved somebody making a complaint, then you would need to use your effective listening skills for making any judgements. In other words, you need to decide how much information you want to gather before you make a decision or intervene. The prison officer role play DVD will teach you how to effectively demonstrate all of the six core behavioural skills and pass the Recruitment Assessment day. Don’t forget to cover every core behavioural skill during the scenario. The scenario will last for 10 minutes so you will need to interact with the role actor. You have plenty of time to ‘suspend judgement’, so use the time wisely. Use facial expressions and words to demonstrate that you understand what the person is going through. This is very important. Use open body language and face the role actor. Use keywords and phrases when communicating with the role actor that are relevant to the core behavioural skills. E.g. ‘I want to explore further what has happened here’, ‘Let me clarify exactly what has happened’. 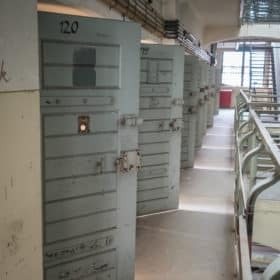 How to prepare for the prison officer role-plays. How to pass the role-play assessment and beat the competition. What you need to know about the 6 core behavioural skills. Using ‘assertion’ effectively during the scenario. How not to get caught out by the role-play actors. Examples of how to show respect for diversity. How to explore, clarify and gather information. Showing understanding during the assessment. Demonstrations of the role-plays and how to pass them. Gain confidence so that you can pass first time. 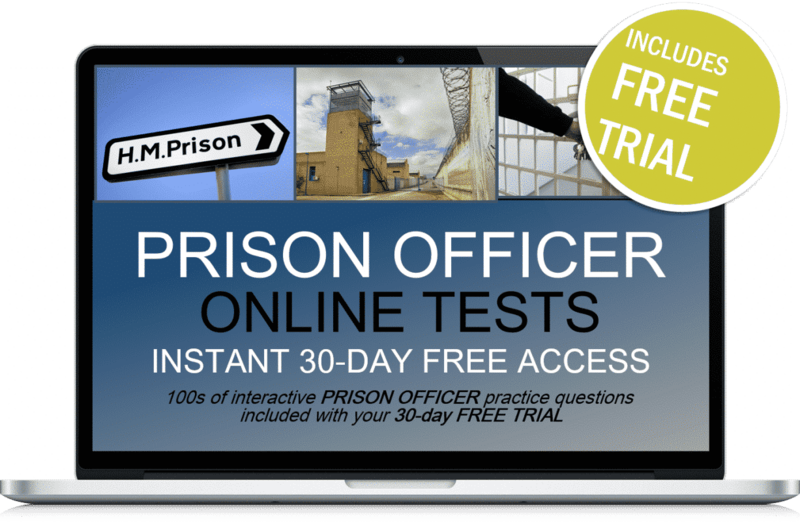 Plus 30-days FREE ACCESS to the Prison Officer online testing suite. Thereafter, just £5.95 per month. No minimum term. You may cancel anytime. Cancel before the 30-days are up and you will not be charged. Online suite access on PC, MAC and mobile devices.